Just as the BowLingual (バウリンガル), the No More Woof is a device designed to perceive and translate the thoughts and feelings of your dog. 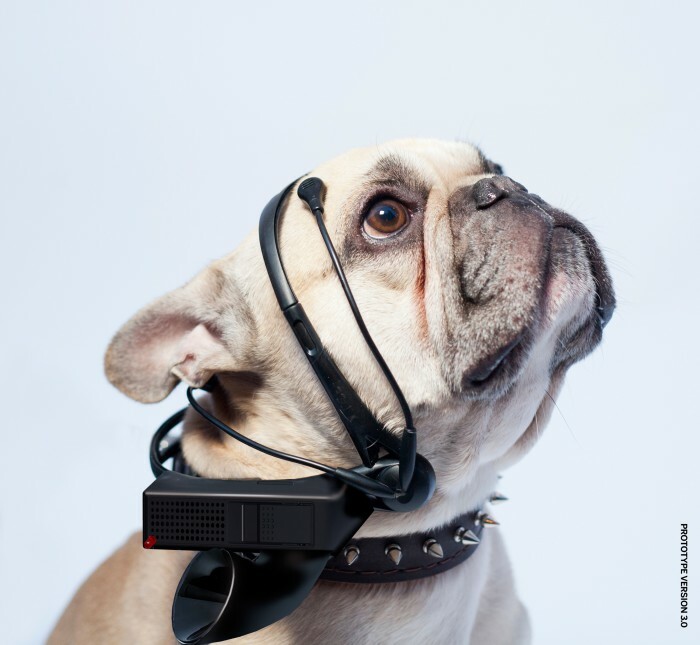 No More Woof aims to develop a small gadget that uses the latest technology in micro computing and EEG to analyse animal thought patterns and spell them out in Human Language* using a loudspeaker. But we admit, we are optimistic dreamers, so even more importantly we want to raise AWARENESS about this area of science, and point others to the potentials! Among the patterns we have found are “I’m Tired”, “I’m excited” and possibly “I’m Hungry” and the clearly intense brain activity when a dog sees a new face, that we translate into: “Who ARE you?”. This entry was tagged dog, eeg, micro-computing, research, science, technology, translation.